A mass shooting at a popular California bar late Wednesday left a dozen people dead, including a 29-year veteran Ventura County sheriff sergeant who was shot when he entered the venue to confront the gunman. The shooting took place at Borderline Bar and Grill in Thousand Oaks, about 40 miles west of Los Angeles, during a college night for people 18 and older. The shooting is said to be the 307th mass shooting in the United States this year, according to the Gun Violence Archive. The shooting happened around 11:20 p.m. (2:20 a.m. ET) at Borderline Bar and Grill, a popular venue for country music lovers. The bar boasts that it was named Ventura County’s Largest Country Dance Hall & Live Music Venue for over 25 years and has a 2,500 square feet of wide-open dance floor. Big-name stars like The Beach Boys, Mark Chestnutt, Collin Raye and Lee Brice have performed at the venue, which opened in Malibu, California in the late 1980s before relocating to Thousand Oaks in 1993. The bar hosts a “college country night” every Wednesday for people 18 and older, according to its website. Pepperdine University in Malibu tweeted that several of its students were at the bar at the time of the shooting, but could not confirm if they were among those killed or injured. 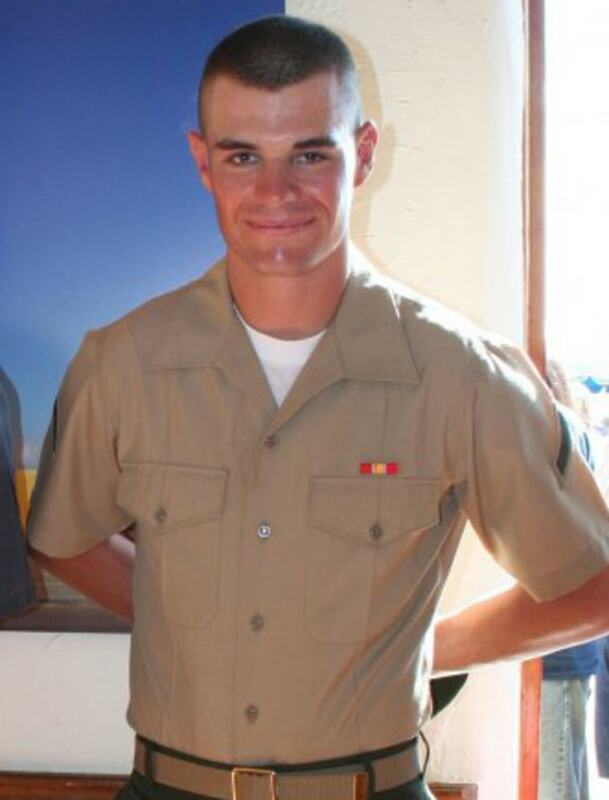 Ventura County Sheriff Geoff Dean identified the suspected shooter as 28-year-old Ian David Long, who was a machine gunner in the Marines and served from 2008 to 2013. During his time in the military, Long, who was a corporal, was deployed in Afghanistan and received multiple awards including Marine Corps Good Conduct Medal, Sea Service Deployment Ribbon, an Afghanistan Campaign Medal, a Global War on Terrorism Service Medal and a National Defense Service Medal. Sergeant Eric Buschow, with the Ventura County Sheriff’s Office, said on MSNBC that Long also served in the reserves. Long was found dead inside Borderline Bar and Grill from a gunshot wound, authorities said. Dean said it’s believed it self-inflicted, but it’s still being investigated. Long was dressed in all black when he stormed into the venue and several witnesses told authorities that they saw smoke bombs going off inside the bar, but officials have not confirmed this. Dean said the department had several previous interactions with Long for minor events such as a traffic accident. In 2015, Long was the victim of battery at a different bar in Thousand Oaks. In April, deputies were called to his home in April by family members who were concerned about the “behavior that he exhibited,” Buschow said. Dean said during the news conference that Long was acting erratically and a crisis intervention team was called. Authorities eventually cleared Long and determined that a psychiatric hold was not necessary. What kind of gun was used? Authorities said they believe Long used a single .45 caliber Glock 21 handgun to carry out the attack. Dean said the gun is designed to hold 10 rounds and one in the chamber, but it could have held more because it was fitted with an extended magazine. Former New York Police Department Commissioner Bill Bratton, an MSNBC contributor, said the extended magazine could have given Long 30 shots and possibly more if he reloaded. “We do not know at this time how many rounds were actually in the weapon or how many rounds the magazine could actually hold because it’s still being processed as part of the evidence,” Dean said. Authorities confirmed Thursday that Sgt. Ron Helus, 54, was as a victim of the shooting. Helus, along with a colleague from the California Highway Patrol, arrived at the bar within three minutes of reports of shots being fired, Dean said. Helus entered the bar to confront the gunman, while the patrol officer watched the perimeter, according to officials. Helus was struck multiple times, and was dragged out of the line of fire by the patrol officer. Helus, who had a wife and son, died from his injuries in the hospital hours later. Dean said Helus was about a year from retiring from the department. He was hailed a hero for his quick actions. Cody Coffman, 22, was also identified as another victim by his father, Jason. Jason Coffman told reporters that his son was talking to recruiters about joining the army and was eagerly awaiting the birth of his first sister later this month. To escape the gunfire, officials said bar-goers hid in bathrooms and in the venue’s attic. Witnesses told authorities that some people used bar stools and chairs to smash the windows so they could flee. Authorities have said at least 10 people were injured.